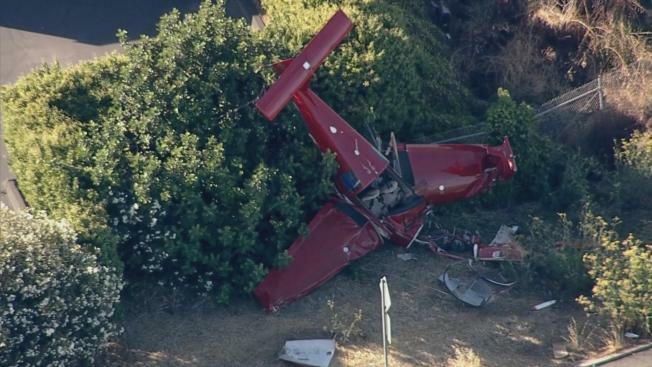 The pilot of a small plane that crashed Thursday shortly after taking off from the San Carlos airport walked away without any injuries, officials said. Federal Aviation Administration spokesman Ian Gregor said the DV-1 Skylark aircraft went down a half mile off the end of the runway after taking off from the airport. Officials also suspect the plane may have lost power on takeoff. The plane went down in the 300 block of Shoreway Road, near Holly Street, at about 5:20 p.m. Shoreway Road was briefly blocked, but reopened after a tow truck removed the plane, officials said. The pilot was the only person on-board the plane.